Be the hit of the next party! 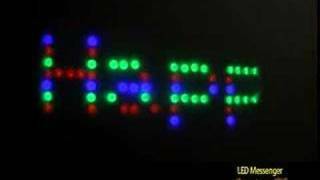 Create stunning text graphics on the wall, ceiling or dance floor with the American DJ, LED Messenger. With theuse of its own wireless remote or a computer keyboard (PS2 type  not included) users can type messages using the 192 built-in high output red, green and blue LEDs. The unit can also function as a high out LED moonflower effect in DMX or Sound Active modes. Considering purchasing the American DJ LED Messenger? Have questions? Ask people who've recently bought one. Do you own the American DJ LED Messenger? Why not write a review based on your experience with it. 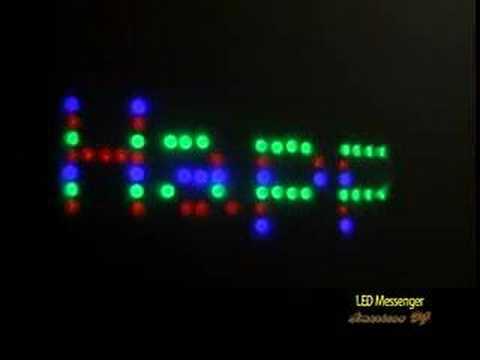 Seen a video for American DJ LED Messenger online or have you own video? Check out American DJ LED Messenger on DJkit.com!